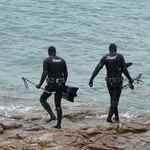 To be fair this isn’t really spearfishing as the sport would define itself – however, all spearos have caught fish this way so it deserves a mention, plus it’s a great way to get accustomed to being in the ocean. So you want to be fairly shallow between about 2 and 5 metres and go exploring the coast line. Try to find some kelpy areas as these tend to be the areas that hold fish. 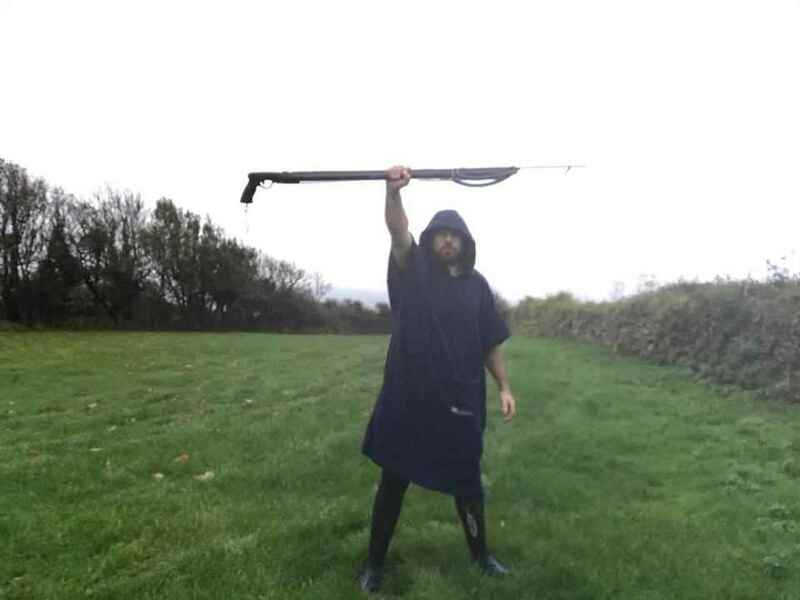 Traditionally in the shallower water you will see infant fish and sand eels. Keep an eye out for sandy breaks between the shallow sea weed as that’s where you just might find a fat bass sleeping off his latest meal. If you find one, remember it’s a tricky downwards shoot. Aim with one hand not two; don’t take too much time and shoot. Bass come right into the shallows chasing sand eels and prawns and sometimes shoal right past you. There is no sweeter sight than this. Be quick and don’t mince around, it’s easy to get distracted trying to spot the biggest ones and then in a blink they have all gone. You get left cursing yourself empty handed wishing you had just tagged that easy 2 pounder instead of getting greedy. If the shoal is dense then it’s not unheard of to grab a ‘2 for 1’ meal deal and shoot 2 in 1 shot. You may also find grey mullet right on the top of surface feeding on some tasty floating ‘matter’ of unknown origin. Again be quick with your shot because they won’t come back for a second look at you. Overall that’s about as far as surface hunting goes, it’s more pot luck than anything. However you can use this technique to find suitably fishy, kelpy areas to ambush in.